>Sales experience is an advantage but not required. 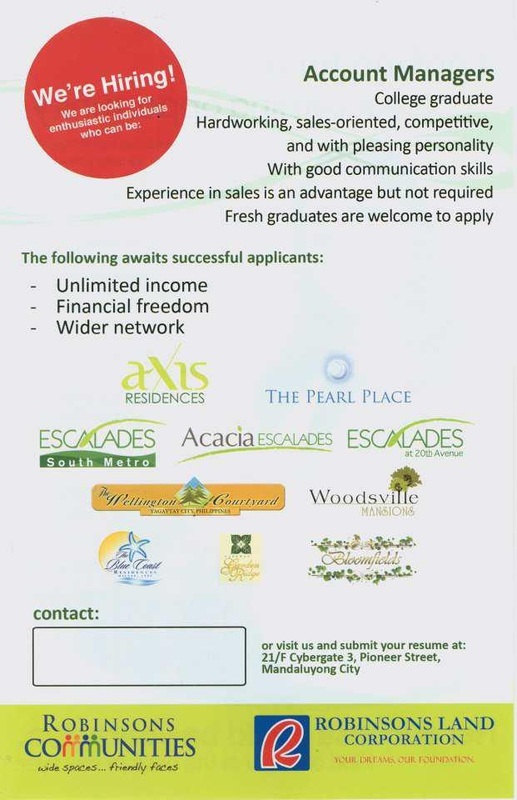 >Fresh graduate are welcome to apply. Please Note: This job is open to those who are residing within Metro Manila Area only. Hurry! Call Now! I will teach you how to earn BIG at your own TIME!